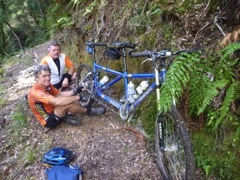 On the Moerangi Trail the drive chain broke. Shortened not replaced. It could have been much worse as this was a 6 and half hour trip and we were able to shorten the chain and carry on.